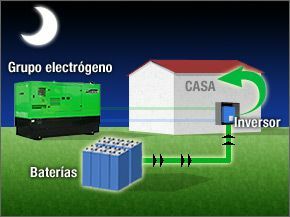 At night, the normal energy consumption is usually low and the battery bank is capable of providing enough energy for this situation. 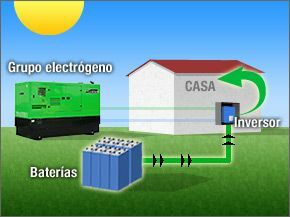 When there is a great deal of activity in the home and the consumption increases, the inverter starts the set, supplying the energy demanded, at the same time as it charges the batteries. 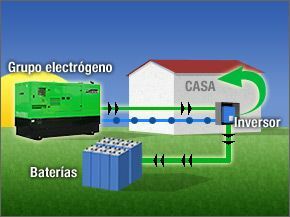 With the batteries charged, and the gen set stopped, the inverter supplies the home with the energy accumulated in the batteries.